Hiện tại có 267 khách và 0 thành viên đang online. ● 85 sec Voice Length at 6KHz sampling and 4-bit ADPCM compression. ● Maximum 1024 voice groups. ● Combination of voice blocks to extend playback duration. ● User selectable PCM16 or PCM8 or ADPCM data compression. 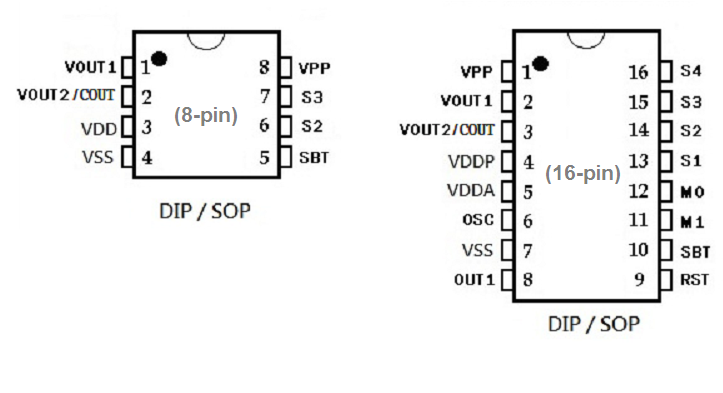 ● Voice Group Trigger Options: Edge/Level; Hold/Un-hold; Retrigger/Non-retrigger. ● Optional 16ms or 65us (@ 8KHz sampling rate) selectable debounce time. ● RST pin set to HIGH to stop the playback at once. 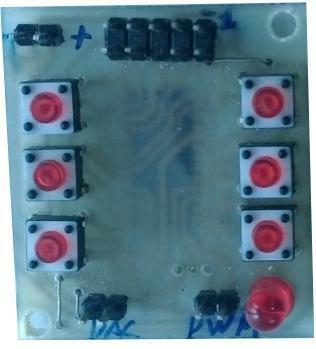 ● 7 user programmable outputs. ● 3 kind oscillator : Internal-Rosc, External-Rosc, Crystal. 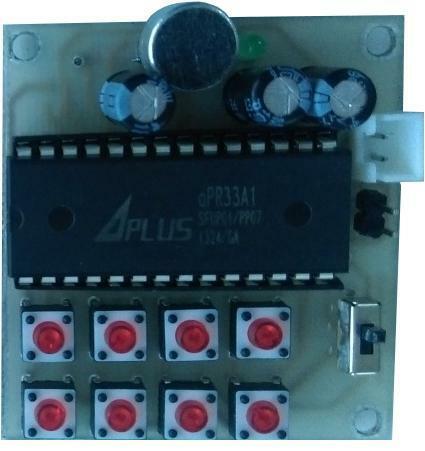 ● 2V – 5V single power supply and < 5uA low stand-by current. ● PWM Vout1 and Vout2 drive speaker directly. ● D/A COUT pin drives speaker through an external BJT. ● 16 level Volume control. ● Audio out 16 bit. ● Development System support voice compilation. 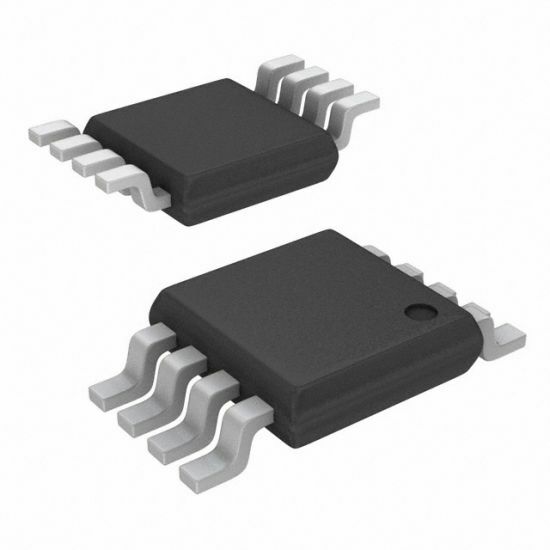 aP23085 high performance Voice OTP is fabricated with Standard CMOS process with embedded 2M bits EPROM. It can store up to 85 sec voice message with 4-bit ADPCM compression at 6KHz sampling rate. 16-bit PCM and 8-bit PCM is also available as user selectable option. User selectable triggering and output signal options provide maximum flexibility to various applications.Built-in resistor controlled oscillator, 16-bit current mode DAC output and 14-bit current mode PWM direct speaker driving output minimize the number of external components.PC controlled programmer and developing software are available.